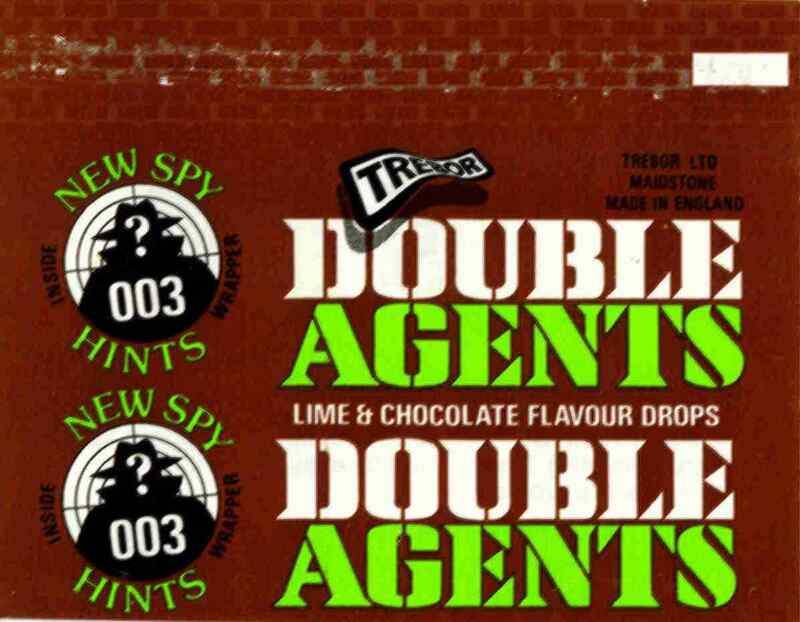 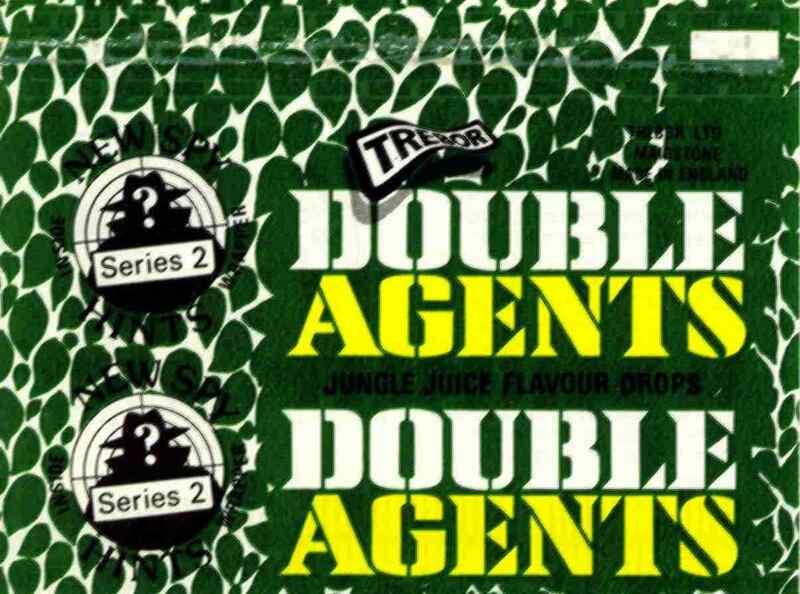 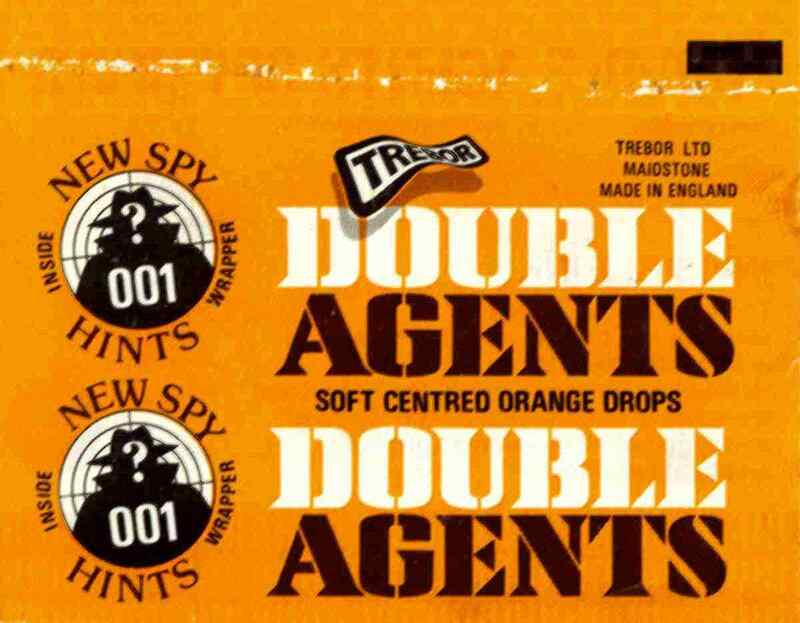 There were six flavours; each had a hard boiled exterior and a soft or sherbert centre, hence the name 'Double Agents'. 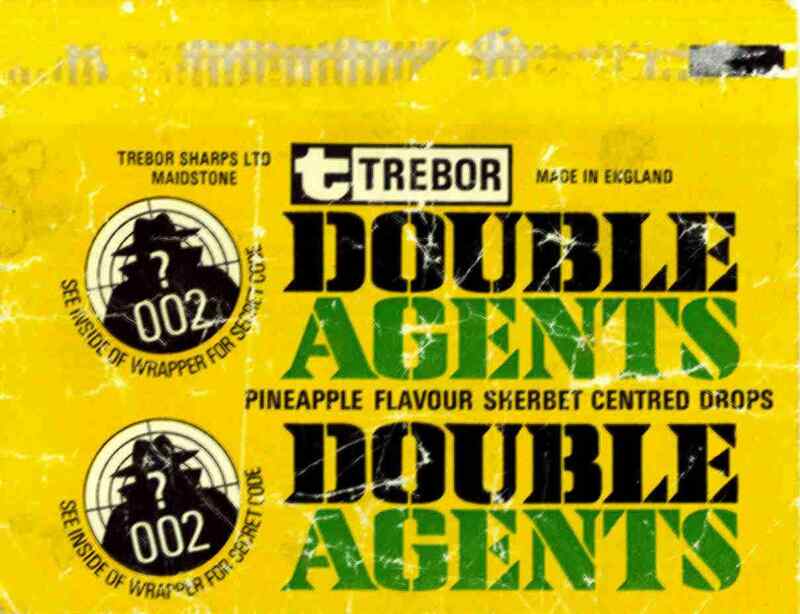 This yellow Pineapple flavour wrapper appears to have been produced earier than the others, since it refers to Trebor Sharps Ltd (in the top left), whereas the other wrappers refer to Trebor Ltd. 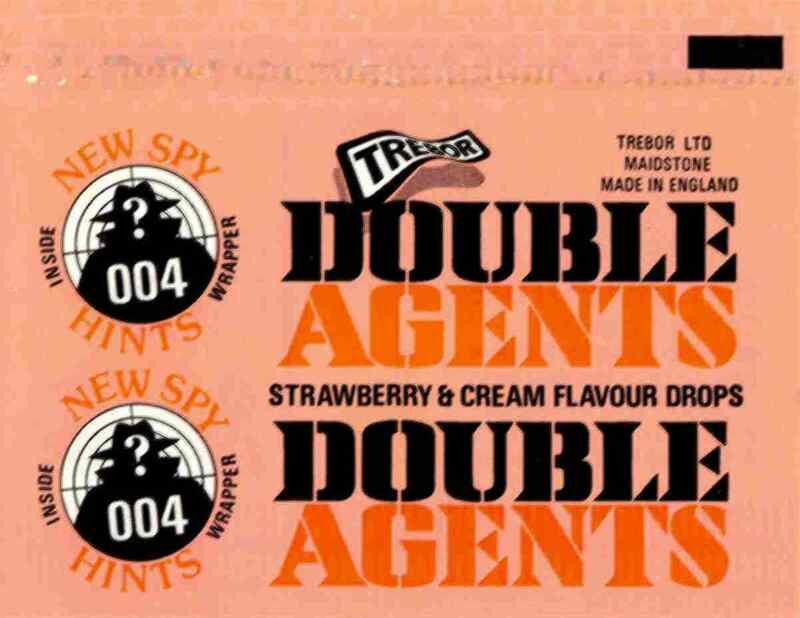 The Pineapple flavour is numbered 002, so this appears to have been replaced later by Raspberry, also 002. 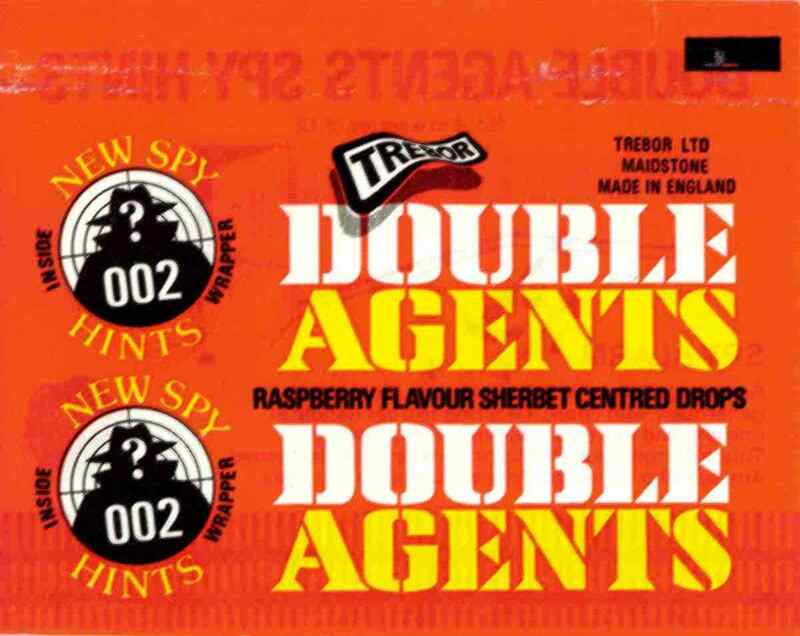 This might explain why the raspberry wrapper has a red wrapper, and strawberry pink; usually, it is the other way round.